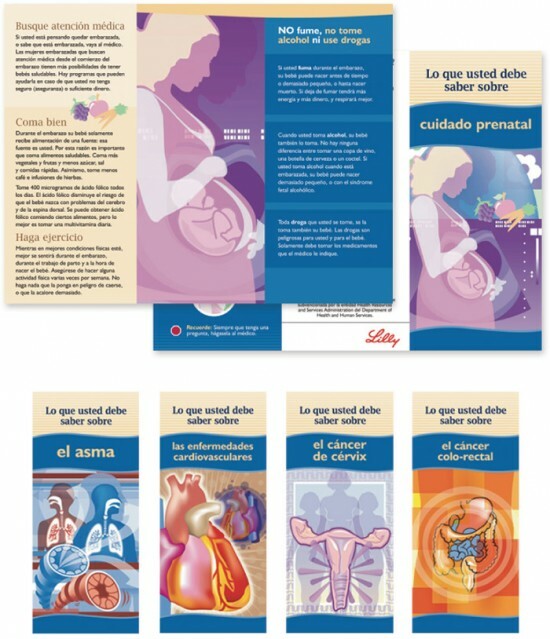 Illustrations used for the covers and interior layouts of health-related brochures for Lilly. We were called upon to provide conceptual illustrations that still required a bit of medical accuracy. The idea was to create artistic and colorful renderings that didn’t appear as technical medical illustrations; they needed to be graphically colorful and engaging. Working with a firm that specializes in Hispanic marketing, these brochures were created in both English and Spanish. The illustrations provided a ‘universal’ theme rather than photography that may have been more difficult to choose for different audiences.